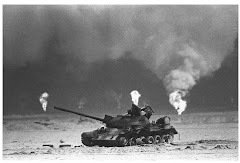 The scene U.S. forces encountered as they entered Kuwait in February 1991 to end the Iraqi occupation was a hellish inferno, with hundreds of oil wells set ablaze by Saddam Hussein's army to send a choking, black smoke billowing into the skies. Now, as the troops who served in the Gulf War mark its 25th anniversary on Tuesday, they are fighting a different battle. A new report once again casts doubt on the legitimacy of Gulf War Illness, an ailment afflicting hundreds of thousands of veterans of the war. "We were appalled at the new Institute of Medicine report, although not surprised," James Binns, former chairman of the federal Research Advisory Committee on Gulf War Veterans' Illnesses, told FoxNews.com. The institute is a division of the National Academy of Sciences, Engineering and Medicine, and conducts research to serve private and governmental agencies, including by congressional commission. Veterans are set to testify before a congressional panel on the need for more scientific research on the illness, and are incensed at the report's recommendation for a focus on "mind-body connectedness." The wording has reopened an old wound caused when the Pentagon claimed the illness was mental, and not physical. An estimated 24 to 33 percent of the nearly 700,000 who served in the 1991 Gulf War have reported a condition with three hallmark symptoms: chronic fatigue, joint and muscle pain and concentration and memory difficulties. Other ailments associated with the illness include gastrointestinal problems and skin rashes. "Gulf War veterans are really angry that this report seeks to cut the legs out from underneath the research that’s giving them hope." 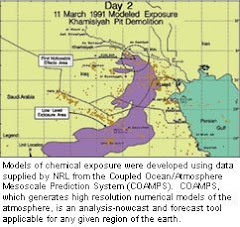 On Feb. 11, the last report issued by the Institute of Medicine (IOM) recommended that "further studies to determine cause-and-effect relationships between Gulf War exposures and health conditions in Gulf War veterans should not be undertaken." The report goes on to say “it is time research efforts focus on the [mind-body] interconnectedness." Following more than $500 million in U.S. government-funded research on Gulf War veterans between 1994 and 2014, the report indicates that the illness and its causes are poorly understood. "Their recommendations are a complete U-turn from everything science has shown in the last 15 years of research," Binns said. "If these recommendations were to be adopted, research would be directed away from hard science to understand the underlying mechanisms of the disease and toward psychiatric factors. that treat the underlying disease," he continued. "Only treatments that would help them cope with the disease." For former U.S. Army soldier Anthony Hardie, the illness is real and the fight personal. As Hardie tells it, this is "a war to obtain effective health care and VA assistance from entrenched government officials who seemed intent on proving there was nothing wrong with so many Gulf War veterans, that it was all in our heads, just stress, the same as after every war." Hardie, 48, of Bradenton, Fla., said he has five of the six common symptoms associated with the illness. He told FoxNews.com that while deployed, he and his fellow comrades were exposed to low-level chemical warfare agents, experimental anti-nerve gas pills, high doses of pesticides and smoke from hundreds of oil fires. "Gulf War veterans are really angry that this report seeks to cut the legs out from underneath the research that’s giving them hope," said Hardie, who chairs a treatment research program funded by Congress. Hardie, two other Gulf War veterans and a doctor from Boston University are expected to deliver testimony Tuesday before a House panel chaired by Rep. Jeff Miller, R-Fla.
"Our veterans won this conflict in less than a week," said Dr. Roberta White of Boston University, according to prepared testimony obtained by FoxNews.com. "However, concern remains high that the troops who produced this victory are and will remain ill, without legitimate acknowledgement of their health problems and the associated disabilities, and without effective treatment options now or in the future."